Big Fat Piggy Bank: FREE Dog Food @ Publix! FREE Dog Food @ Publix! 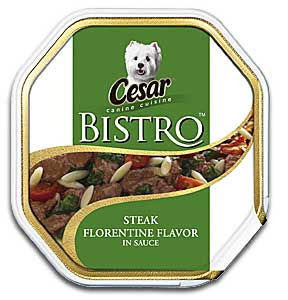 You can get FREE Cesar Canine Bistro Meals at Publix! Just use the Publix store coupon HERE for B1 Cesar Treats G1 Bistro Meals Free. Then use the $1/1 Cesar Treats from 10/18 RP and the B1G1 Bistro Meals manufacturer coupon from 8/30. (It wasn't in an insert it was just a separate flyer that came in the paper.) Combine the 3 for 2 Cans of FREE dog food & cheap treats! You'll also see some other good coupons for pet food and pet supplies on-line from Publix including a $3/1 Purina One. Combine that with the $2/1 Purina One Dog Food from 10/11 SS to get some cheap dry dog food! I found a B1G1 Cesar Treats at my Publix today. 2 Cesar Treats & 2 Cans of Dog Food for about $4! It looks like the coupon says that you have to buy Cesar treats to get the free can. Unless I have read it wrong.